Sell your PESTILENCE items on eBay ! A revolutionary spin on progressive death metal. PESTILENCE were an extreme metal band that drew much acclaim for their uncompromising approach to death metal but it wasn't until the release of their 1993 magnum opus 'Spheres' that they truly cemented a position in the extreme metal hall of fame with a technical jazz influenced approach incorporating a heavy use of synthesizers they transcended the boundaries of the genre and created something completely new. For me the greatest indication of the musical integrity of this album comes from the guitar solos, you wont hear any shredding here, they are all well thought out, well paced, well phrased pieces of music which is a treat for an extreme metal band and the riffs even carry some of the same consideration. The synthesizers as I mentioned before contribute a great deal to the album as they offer up the most melodic elements and provide a medium for the complex jazz chords that otherwise wouldn't be possible and there is even a completely synth driven song on the album in 'Aurian eyes' which is a string based mystical journey. When all is said and down though this is death metal, the chunky riffing guitar tone, the double kick, the heavy pounding bass, the growls (which aren't that deep or abrasive for death metal actually) we are never under any illusion that this isn't death metal - but it's death metal with something more. There is a good variety in the music and as such there are numerous strong tracks and great highlights, the opening track 'Mind reflections' is probably the heaviest track on the album with deep chugging and slightly atonal riffing and brutal double kick but even here the melodic synth components are very prevalent, especially in the relatively quiet breakdown sections. The next song 'Multiple beings' is another gerat song, I find it surprisngly emotional in the chorus part despite the double kick and growling. 'Personal Energy' is the most fusion song on the album, it's a lot softer than the other songs melodically and instrumentally (with no double kick and a lot of clean guitar) and possibly offers an insight into the direction the band might have taken, there are a lot of extreme metal elements here but the amalgamation achieved with the clean and melodic elements almost makes them an afterthought. The title track 'Spheres' is another great song, I especially like the solo section, it almost feels like it has a latin american groove underneath and it's one of the most melodic well composed solos on the album. Closing song 'Demise of time' is my favourite song on the album, the complex synth chord progression in the chorus is a triumphant high point on the album and is a perfect way to close out the album, the synth sounds the best in this song, it sits perfectly alongside the other instruments and contributes just as much as any of them. Overall Spheres is an extraordinary album so much (so that the band couldn't agree on which way to take their music next so they decided to disband). It offers so many new things to the extreme metal genre, this is an absolute must have for fans of technical and jazz influenced metal such as ATHEIST, CYNIC and GORGUTS. "Spheres" is the 4th full-length studio album by Dutch progressive death metal act Pestilence. The album was released through Roadrunner Records in May 1993. "Spheres" was the last album released by Pestilence before they disbanded in 1994. 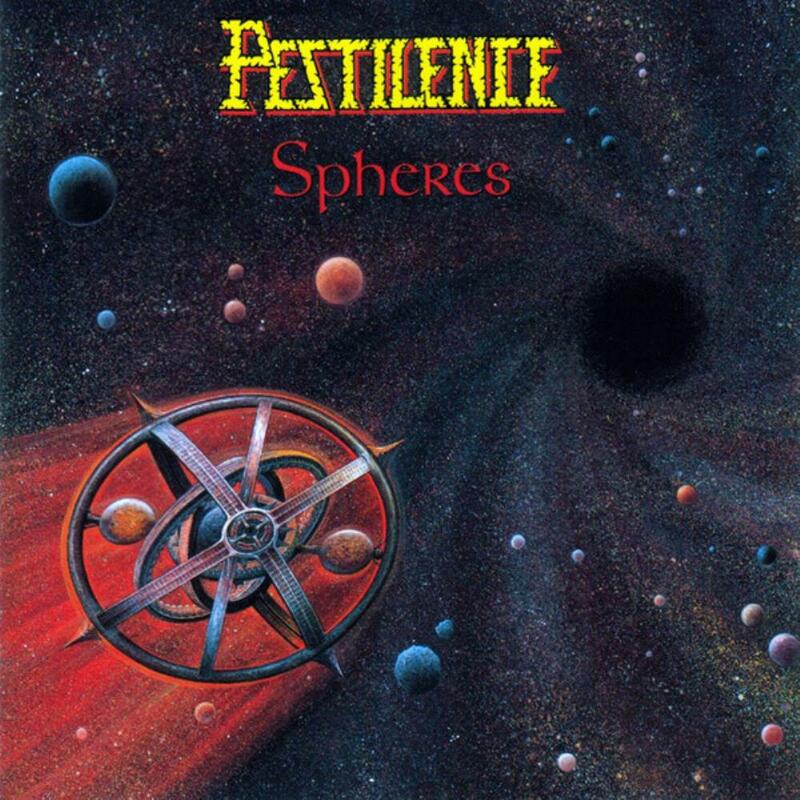 Pestilence had gained quite a positive reputation in death metal circles with their two previous albums "Consuming Impulse (1989)" and "Testimony of the Ancients (1991)", but they took a left-turn with "Spheres" that, at the time of release, didn´t go down well with neither fans nor critics. The generally bad reception of the album was a major contributor to the demise of the band. It´s interesting how "Spheres" was received back then, because today it´s often referred to as one of the seminal technical/progressive death metal albums of the 90s. It´s an example of an album that was so ahead of it´s time, that it took years before people retrospectively started to hail it´s genius and groundbreaking nature. Stylistically the music on "Spheres" is a technical form of death metal featuring, intelligible growling vocals, death/thrashy riffing, atmospheric spacey synth guitars (despite what it sounds like, no keyboards were used on this album), busy and quite adventurous bass playing and jazzy guitar solos. 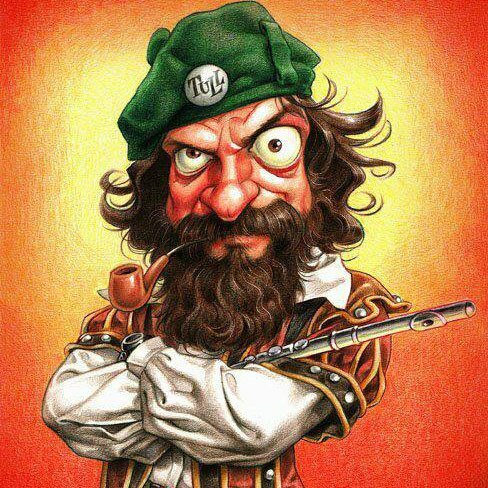 A very original combination of musical elements, that at times almost defies catagorization. It´s progressive in the true sense of the word. "Spheres" is a relatively short album featuring 11 tracks and a full playing time of 33:17 minutes, but as a consequence of the complex and rather challenging combination of ideas and sounds, it´s a perfect length for the album. Out of the 11 tracks on the album, 3 are shorter atmospheric interludes, so there are actually only 8 "regular" length tracks on the album. It´s an album with a great flow though and there isn´t a dull second here. All tracks are worth mentioning, but the atmospheric "Personal Energy", which is placed right in the middle of the album, and the title track, which features multible solos and changes in mood, are among the highlights. "Spheres" features a sound production, that suits the music but fans of the band´s earlier material shouldn´t expect a powerful death metal sound. This is a bit more sophisticated and relies less on raw power and more on atmosphere and attention to detail. upon conclusion "Spheres" is strong album release by Pestilence and it should appeal to fans of artists like Atheist, Cynic, Sadist and Gorguts. It´s an album that divide the waters though and more conservative minded death metal fans that enjoyed the band´s earlier material because of it´s death metal brutality and edgy riffing, might not find much to like here. A 4.5 star (90%) rating is deserved. A very important album in the history of Death Metal to say the very least. This alongside Individual Thought Patterns (Death) were probably the highlights of 1993 for me, and both of these albums were vital preparation for the excellent year of 1995, which saw the release of albums such as the great Symbolic (Death), Slaughter Of The Soul (At The Gates), Destroy Erase Improve (Meshuggah), The Gallery (Dark Tranquility) and of course, Opeth's debut album Orchid. There are also many more great releases in this year that I have missed, but I don't think any of them would have been the same if it wasn't for Spheres. This album has been a solid influence on a lot of music since it's been released, and although only a handful of bands cite its influence, the effect it has is undoubtedly there. The reason for this is that it was, for me, the very first Avant-Garde rooted Death Metal album of all time. It features a very prominent synth part throughout also, which was rarely seen on this scene at the time. In a nutshell, what I am trying to say with this lengthy introduction is that the importance of this album of the early death metal scene is priceless, and continues to influence me in my own compositions, whether it be metal or any other kind of music I'm writing. I suppose the main reason for this would be the addition of keyboards and the obvious fusion of modern classical music into the works, but it is not only that. The compositions are all precisely arranged, almost mathematically. There are only about as much as 3-4 riffs in each song, and seldom any more than that, but they are arranged in such a way that the music flows without feeling blocky or jumpy in any sort of way, and also remains not remotely boring. Now to the actual songs themselves. As I said before, there is a lot that sets them aside from other old-school death metal: the modern classical music influence, the prominence of the synthesiser, the strange sci-fi mood about things... and the great thing about this album is you actually get all those features in every single song. This can only mean one thing to me: there isn't a single weak track on the album. From beginning to end you are treated to a marvellous and innovative spectacle of music and it never dies at any one point. Even the fillers work well as mysterious, well thought out songs on their own (Aurian Eyes, Voices From Within and Philleas). However, even though there are no weaker tracks, there are undoubtedly stronger tracks which bring a little bit more to the table than the others. These tracks for me would be the opener Mind Reflections, Personal Energy, Spheres and Demise Of Time, and I will review these accordingly. Mind Reflections is possibly the heaviest track on the album, and kicks off sharpish with a quite typical old-school riff. Blistering double bass pedals also provide a lot of energy here. Then we are taken on a tour de force of extreme music that is chaotic as well as beautiful. We also have two break riffs that act as the chorus and the bridge sections. This acts as the modern classical music influence, and in the bridge riff we are treated to our most prominent little avant-garde synth segment. The syncopation in this song is simply divine as well, and the guitar solo is probably another highlight for me. Well thought out and melodic, it stands out as the best solo on the album for me. Yes, it shreds, but it doesn't over do it at all, like a lot of the solos from this era. Great song indeed. Personal Energy is probably the most stand-out track on the album. This is almost pure jazz right here, and is... well, lush. I imagine this is the song that truly secured Pestilence a place on the archives, and although we do have some growling in the background, it is very mellow indeed. We have a lot of very nice chords played on a semi-clean guitar tone and the drums aren't over the top like some bands fall into the trap of. We also have, yes, a pseudo-fender rhodes type solo, or it may just be on a very bright clean guitar. I can't really tell, but it is beautiful and would easily fit in on the smoothest of jazz numbers. This song is important because it demonstrates the versatility of the band. They are willing to stretch themselves, which is only commendable in my books. The title track is another rocker. This follows in the same vein as the first track, and is built up of several syncopated riffs that act as verse, chorus and two bridges. All arranged perfectly, the second bridge is probably a highlight of the entire album. We are treated to a nice little solo before it kicks in, and then it comes. I always turn it up because it is so good. The basis of it is a Meshuggah-style one note, rhythmically complex sequence in 4/4, and it repeats four times. The special thing about it is the keyboards though. They build up after the second repitition and attack with such dissonance that is leaves you trembling until everything finally stops... and you are hit by one final powerful chord. Fantastic. Everything that sets this album apart from everything else in its genre takes place in this short, 12 second segment, and if you are going to listen to this song, please watch out for that bit. The synth solo also deserves a mention and furthermore sends the song into spacier territory. Demise Of Time opens with some nice little synth effects, that sound a little cheap but do the job well. This is just a belter of a song. Once again, verse, chorus bridges, but the wonderful thing about this album is you find yourself not caring about the generic arrangements. The riffs are all so diverse that it doesn't matter. Two things about this song, however: the drumming is at its peak here, and Marco Foddis proves himself (to me anyway) as a superb player, albeit not exactly a household name. Secondly, the funkiest riff off the whole album lies in this song, in the... third bridge section I think, where Foddis switches to the ride cymbal and Mameli utters out a very quirky solo shortly afterwards. It is definitely a memorable moment. Once again, a sensational contribution to the world of Death Metal. I think I've given most of my analysis. This is a great album, and a very important one also. It is a big shame it is so overlooked, but if anyone is reading this review right now I cannot think of any bigger insentive than to say it is a MUST HAVE. In fact, forget that. I'm gonna go all out and say that I think it is BETTER than Individual Thought Patterns. It is definitely more consistent, and brings a lot more to the table as well. Kudos for Pestilence for ending their 90s career with a bang, and boy, what a bang it was. I can't think of another mark to give it other than 5 stars. A masterpiece of death metal without a doubt, AND a masterpiece of progressive music. |C+| Another worthy album for fans of the death metal/fusion combination. This is indeed an interesting and sort of strange little "gem" of an album that I had to check out, the fan of unknown gems that I am. As many have commented, it is a mixed bag of death metal and jazz-fusion, in the same vein as Atheist, Cynic, and Watchtower, though the production and composition are a bit less developed than either, in my opinion. The jazz-fusion refers to musical timbres far more than actual composition, of which there is pretty much no jazz in terms of the improvisational style. What's more, it's more "post jazz" sounding fusion, when many jazz-fusion artists (mostly in the eighties) broke off from the traditional jazz sound and favored an incredibly more electric-based sound, especially groups like Trio of Doom or Chick Corea Electrik Band. Basically, you're going to here a lot more influences from Death than you are from Miles Davis, for certain. At first I was incredibly turned off from this album by the opening track, which featured the not-so-well-produced metal guitar riff that repeated over and over and some less-than-appealing sounding gutteral vocals. But this album grew on me a bit, as most prog does with subsequent listens; as you get further through the album the fusion element increases, and I would say, so does the level of composition (and not from any bias; I tend to like progressive death metal as much as I like a lot of jazz-fusion). Personal Energy is probably my favorite track, as it seems the most innovative and unique, rivaling even some of Atheist's and Cynic's best tracks. And we're definitely talking about prog here, these guys do some insanely complicated things with rhythms and harmonies. I don't like the keyboard imitation of the acoustic instruments, but a band's budget is a band's budget. In general, this is probably a great album for fans of the already mentioned bands. This is a solid album worth buying, with great musicianship and deceptively complex composition. If the death metal/fusion combo is your thing (as it is mine) this is a more than worthy album for your collection. There are a lot of really good riffs and interesting bridges of compositional style between death metal and electric fusion, with great musicianship. Some of the chord progressions get really dissonant too, in an impressive way. The second half of the album is probably best. This really falls right between a three and a four, and while I like the album, I find it more "interesting" than good. What's more, there's nothing here that Atheist and Cynic don't have superior mastery, even during the album's creation. I first heard this album when I was in middle school, at about 16 years of age. I remember I was a fan of black metal, and I was browsing the internet listening to various 30-second samples of black metal until I somehow came across this album and listened to it. At that moment I realized "$%&* black metal, this rules". Soon that album had been purchased and my mind exploded. 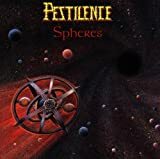 "Spheres" by Pestilence is one of the quintessential jazzy death metal bands of the '90s, along with Atheist, Cynic, Sadist and Death (not jazzy, but very important), so if you're a fan of any of those bands then you will find much here to enjoy. There are a few things that stand out on this album: 1. This album has a sci-fi theme. Not only that, but the tones of the instruments sound sci-fi themselves. 2. The bass playing is incredible. Since this album, I've been a huge fan of Jeroen Paul Thesseling, and you might be too after hearing this album (also, check out his new band, Obscura). 3. These vocals are so nasty. 4. Fantastic riffs. "Mind Reflections" and "Multiple Beings" both start off with two of the best metal riffs I've ever heard, and they go great with the confusing, spacey tone of the guitar and bass. The guitar solo on "Mind Reflections" is very bizarre and jazzy and it kind of pulls itself away from the rest of the song forcing your mind to pay attention. "The Level of Perception" sounds very robotic to me, kind of like a pre-Meshuggah sound. "Aurian Eyes" is a post-modern sci-fi string arrangement that serves as kind of an interlude and an intro to "Soul Search" which continues temporarily with strings before it dives into the same insanity that the previous tracks consisted of. "Personal Energy" is a much more subdued song in the metal realm when compared to the rest of the album, sounding entirely more like jazz-fusion. It's a fantastic and beautiful song and definitely one of the best tracks on the album. "Voices From Within" is another short interlude, but of the serene jazz-fusion type, and that leads into the title track that takes us back to metal, but "Spheres" offers a great keyboard solo at the end followed by those fantastically cheesy and wonderful '80s sounding jazz synth noises. "Changing Perspectives" is probably the most bizarre track, and definitely the noisiest. This is what being sucked through a black hole would sound like if followed by metal-minstrels with sitars. "Phileas" is another short jazz-fusion interlude, essentially a bass solo by Thesseling (fantastic), which is followed by this album's conclusion track. "Demise of Time" includes more of the fantastic metal riffing that was present at album's starting point combined with the jazz-fusion elements that got stronger as the album progressed. There couldn't have been a better way to end an album of this sort, except by maybe the apocalypse brought upon us by aliens hearing this album. What hath man wrought. Jazzy death metal doesn't get much better than this here, folks. A definite masterpiece of the genre. 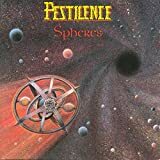 Pestilence is a dutch metal band that release some quite respectable albums in late '80's to early '90's , one of them is for sure their forth release named Spheres. Graced by a great cover art , first thing that comes in mind after listning to this album is how great keybords sounds here on this album, but after I read the booklet where is written big and clear "there are no keybords on this album" I begun to re listen again and again to know what is going one, musicaly. Now I know this album since it hits the stors in 1993 and is one of my first album I've got on CD. Still enjoing very much this kind of metal, death metal with jazz interplays, very much like like Death on Individual Thought Patterns, Atheist and Cynic , quite technical, hursh vocals melted over some fantastic musicicnship. One of the better albums from this scene, from early '90's Pestilence never gained a big popularity like other names like Death, Atheist, Cynic and even some of the passages remind me of Psychotic Waltz without that mean vocals, so they disbanded in 1994 and re united after a decade of silence releasing couple of albums in recent years. This album stood the test of time well, some pieces are killer like for ex maybe the smoothest from here Personal energy, excellent track where Pestilence realy shines. 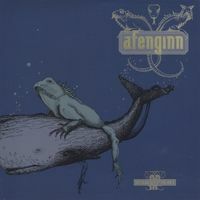 Finaly while is a good towards great album, some unenjoyble moemnts are present, to my ears is to much the same, talking about riffs and compositional direction, I mean sometimes I don't know if I'm listnig to one or another piece because the structure of the piece is the same, only the back ground synth guitars gives to the piece a more diverse sound, the synth guitar that I thought in first place are keybords, intristing and very well done moments on synth guitar. 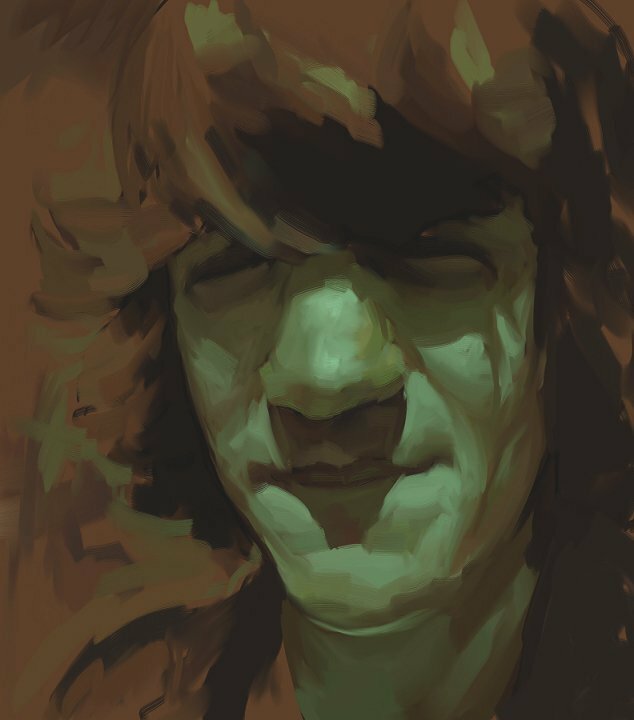 So, 3.5 is the best I can do, no more no less, even is good for sure, I prefer Death, Atheist or Cynic. Nevertheless one of the front albums of the genre. The early 90's can be seen as the golden era for death metal. Particularly in the south- eastern United States, bands like Death and Atheist were taking the young genre to heights of perfection, fusing classical music and jazz into the gritty, extreme sound. On the other side of the Atlantic ocean is Pestilence, a band that sounds quite a bit like the aforementioned groups. Hailing from the Netherlands, this band takes after the American pioneers, adding on a few elements onto the existing style, and comes out with an absolute masterpiece of progressive death metal. 'Spheres' may not be as widely regarded as the magnum opuses of Pestilence's US counterparts, but it is just as exciting of a listen. Upon my first listen to this classic, my first intuition was to draw the comparison of Death's 'Symbolic' album, released around the same time as this. The growled vocals seem to be crossbred between Chuck Schuldiner of Death, and Kelly Shaefer of Atheist. With these sorts of comparisons, its a surprise that Pestilence isn't from Florida, as opposed to Holland. On a purely musical level, this band is very closely related to them. The guitarwork is composed of dark, jazzy-infused metal riffs that will get your head banging and thinking at the same time. Also an important aspect of this brand of death metal is the heavy presence of the bass guitar. Thesseling's bass performance is very jazz-influenced and clean, contrasting the guitars, filling the mix, and giving something to listen for on subsequent listens. The album is very short, lasting little over half an hour, but the tracks flow together as if 'Spheres' was a single piece of music. I may have preferred this album to last a little longer, but the brevity is only reason enough to take it for another spin right after. While Pestilence is very close in sound and style to the Floridan death metal scene, they do bring one very unique element to the table, that being the use of synthesizers. In tandem with the proggy death metal madness, there is a back up of strange synth sounds that gives the music a spacey, sometimes otherworldly feel. 'Spheres' would have turned out to be a very capable death metal album without this addition, but with it, it creates that much more of a distinctive musical experience, and makes me feel like I am part of the album art, lost in space amidst the debris. Pestilence could be called a clone of the American bands, but I do think they bring enough fresh material to the table to be worthy on their own merits. Not only that, but they manage to take the progressive death metal style and make something of it that really amazes me, perhaps even moreso than Death or Atheist ever did. This is a really incredible album. One of the strangest death metal albums out there that is still firmly entrenched in the 'death metal' sound, Spheres immediately challenges the listener with its unusual production qualities combined with odd tempo rhythms and anguished vocals. It's an interesting beast, and an interesting stylistic shift for the band which would not revisit this unique approach to metal in the future, at least until now. Utilizing a producer whose forte is not exactly abrasive metal, the focus is more on making sure each instrument is heard clearly than pummeling the senses, and the guitars don't weigh in with a particularly 'heavy' distortion. In fact, they sound warm enough to cozy up to by the fireside. Bass playing is fretless and audible, and quite an excellent display of showmanship at times by a man who much later would be part of another band with sc-fi leaning recordings named Obscura for a period of time. Drumming is busy and difficult while neither being particularly jazzy nor blasting away with fast thrashy tempos. There's a sort of mid-tempo vibe to this entire endeavor while creatively bouncing around with its time signatures. The vocals help keep the death metal flame within this group alive, consisting of unusually throaty growls that remind me of Death's vocalist or Lemmy from Motorhead in the throes of one screaming mad seizure. Notable proggish cut "Personal Energy" stands out from the rest of the tracks with its mellow flow and distant robotic vocals providing atmosphere. Another feature of this record is the synth usage, although in this case it's synth guitars rather than apparently "uncool" keyboards (which they had used in their previous effort). 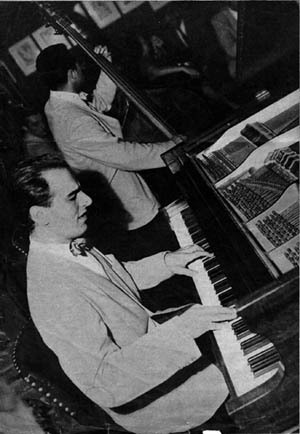 The band emphasizes that no keyboards were used in the liner notes for this album. Great, except that some of this synth guitar layers alone come across as a bit cheesy at times, like a score to some 1970s low budget sci-fi flick involving model spaceships dangling from strings chasing each other in front of a black curtain backdrop. As a progressive metal album, it more than qualifies and possesses an individual sound that has hardly been duplicated since. It's also a style that can wear out its welcome, since many of these tracks have such similarities that the overall distinction of the album loses that aspect when it comes to individual tracks excepting the instrumentals and "Personal Energy". The vocals themselves can get a bit irritating at times, not because of growling itself, but this sort of "throaty" wail branch of growling is not exactly my favorite design of the form. An interesting and odd interpretation of extreme metal. Dutch technical and heavy death metal group Pestilence had already made some pretty heavy trash records before embarking on their one and only truly progressive/fusion death metal album. For many fans of the progressive metal genre it is seen as a revolutionary album, I myself don't know to much about the development of this particular breed of metal. Pestilence sill has death metal growls, heavy drums and guitars, but some keyboards have entered the mix and time signatures and harmonies have developed quite a bit. The album also sounds a bit more 'electronic' then other albums of the band. All compositions are short and have a more or less traditional form. This isn't much of a problem, because the riffs are all very complex and the harmonic findings are revealed only after a few spins. I'd say it took my at least five listens to acquire some tolerance towards this aggressive maze of riffs and painful shouting. After this a really well composed album begins to appear and I feel enjoyment listening to the inventive use of the death metal elements. Some interludes with keyboard sound a bit dated, but let's not forget this was recorded almost twenty years ago. The production doesn't impress me a lot, but another album of Pestilence also sounded way better on a vinyl and I only have digital copy of this one. Conclusion. Not an easy entry, but surely a good album for the technical death metal scene. The words jazz and fusion seem a bit out of place, but one does find some extended chords now and then. A well, three and halve stars. Dutch heritage. Pestilence radically changed up their sound on this release, launching themselves into the deep end of the sort of technical jazz death metal that Cynic and Atheist were also experimenting in at the time. They actually acquit themselves rather well, though I can see how this may be a jarring release for some people - even though the preceding Testimony of the Ancients was quite technical, it was nowhere near as avant-garde as this, and that may put off some listeners. Still, it's entirely worth it to get another entry in this small little jazz-death subgenre, and in retrospect Pestilence should be glad they undertook this experiment. Post a review of PESTILENCE "Spheres"